Help, how to topics > Fine, future fine options ? 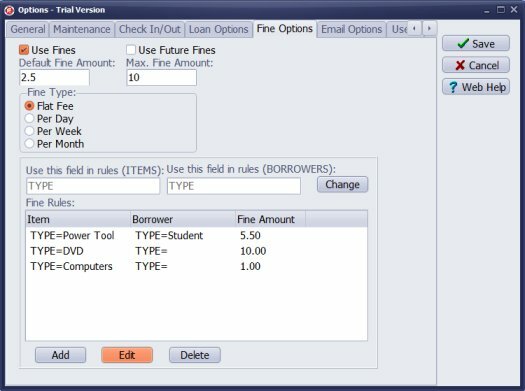 Use Fines: activates fines in the equipment/tool manager, the administrator window gives access to Manage Fines, Fines tables. Program calculates fines according to the default and fine rule settings. Use Future Fines: activates future fines functionality. If item is overdue and is not returned the program shows the current fine value.